Buying a dash cam for your vehicle is a smart choice for preventing headaches when it comes to proving your innocence in a car accident. Not only do dash cams provide your insurance company and law enforcement with irrefutable proof of the incident in question, but some even monitor your car while it’s parked, acting as a security camera that keeps watch over one of your most prized possessions. The main purpose of the dash camera is to act as a kind of “second eye” over your car while you are away from it, ensuring that no damage is done that cannot be attributed directly to a responsible party. But as technology advances, we’ve seen dash cameras become smaller and more lightweight, able to be hidden more easily within the vehicle. Some now come with WIFI and parking modes that trigger recordings whenever the camera detects motion outside the vehicle. Ultimately, it’s important that the dash camera be inconspicuous within your vehicle. You don’t want it to block your line of sight and nor do you want it to be visible to others if you are looking to catch them in an act of vandalism. For these reasons, there are a number of hidden dash cam options on the market today. These stealthy dash cameras can be affixed to the windshield by hiding them behind the rearview mirror. Often they don’t even look like traditional recording devices and the wiring is carefully hidden within the vehicle also, making it less obvious to the driver and anyone else passing by that the camera is recording. The issue of course is that as dash cameras have grown in popularity, the number of choices available on the market has grown too. For someone looking to purchase a new hidden dash camera, at first the sheer number of options might seem overwhelming. Where to begin exactly? How small is too small? Which hidden dash cameras don’t sacrifice picture quality for stealthy design? How Does a Hidden Dash Camera Work? 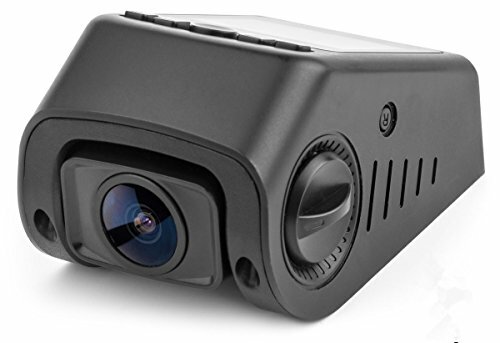 The i-Tentek is another good option for a hidden dash cam, priced very close to the Novatek 96655 listed above. Unlike the Novatek 96655, the i-Tentek boasts a 170-degree wide-angle lens making it ideal for capturing more of the road or the changing scenery. This panoramic view means you can capture both sides of the road easily; a great benefit to you if you are a social media user who likes to upload videos of curious things that happen on the road. Although the i-Tentek does not come with WIFI capability, it does come with a G-sensor within the camera that automatically locks video footage related to moments when the camera detects unusual vibration within the vehicle. This means that if you get into an accident or another car bumps yours in the parking lot, the footage of the incident will never get accidentally deleted or taped over. Like the Novatek 99665, the i-Tentek has a compact and contoured design that attaches in front of the rear-view mirror seamlessly. The sleek design of the i-Tentek will not distract the driver as it simply looks like another part of the vehicle itself. The Auto-Vox hidden dash camera is a design alternative to the other three cameras listed above. Instead of using your smartphone to view your videos, the Auto-Vox comes with a 1.5” LCD screen so you can control the camera directly with your fingers and watch video real-time on the little screen in front of you. This screen of course means that you won’t be placing your dash camera in front of your rear view mirror (otherwise you wouldn’t be able to see the screen or change the settings), but because the Auto-Vox is so small and sleek, even if you attach it directly to your windshield, the camera still looks like just another part of your car. The 170-degree wide angle lens is a definite plus with the Auto-Vox, as is the fact that the Auto-Vox can be adjusted to film the road at the angle you desire by twisting a knob on the side to lift or lower the lens. 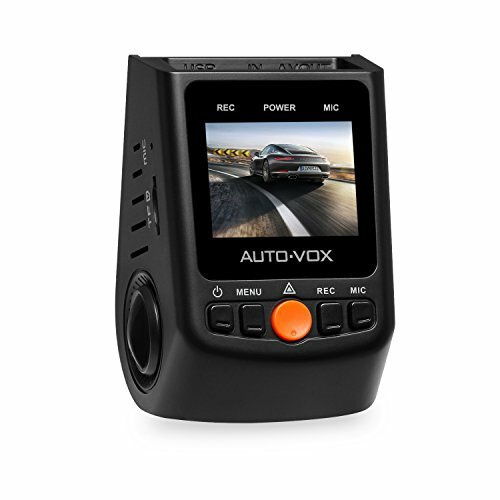 While it may not be as completely hidden as the other dash cams on our list, the Auto-Vox is still an excellent choice at great value. 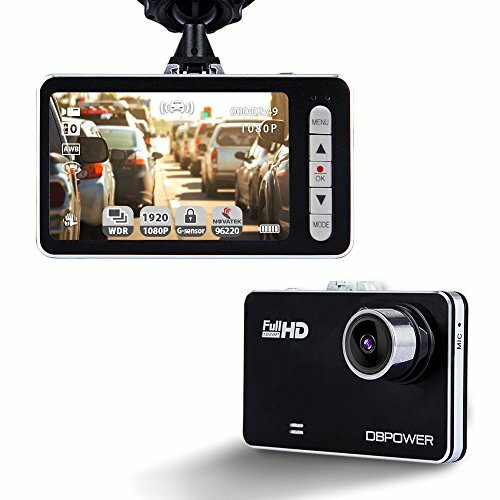 The DBPOWERW20 is a cheaper alternative to the dash cams listed above, principally because instead of affixing directly to the car itself, it attaches via a suction cup in front of the rear view mirror. The DBPOWER W20’s thin sleek design does not mean that it will be an eyesore within your vehicle. The DBPOWER W20 offers wide angle recording in 120 degrees – not nearly as wide as the other wide angle cameras on our list that can film at 170 degrees, but even still at nearly half the price, the DBPOWER W20 remains an excellent, affordable option that could serve the basic needs of a driver who is looking for only the most basic features in a hidden dash cam. Since the principal reason for owning a dash cam is to capture footage in the event of an accident, it could be said that even in spite of it’s less advanced features, the DBPOWER W20 performs this basic function well. Significantly, the DBPOWER W20 comes with G-sensor technology, locking any video files that result from unusual vibrations in the vehicle. This means that critical footage of an accident is there when you need it most. 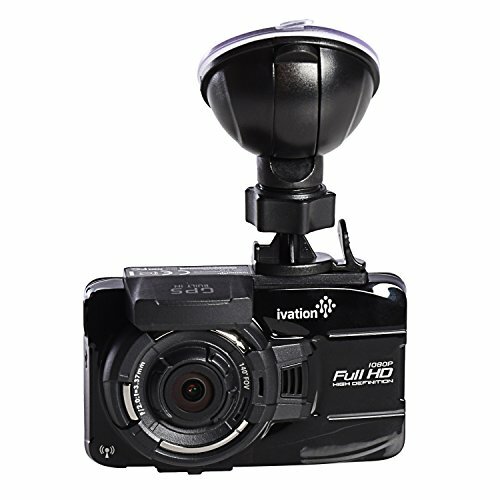 The Ivation hidden dash cam sits at the other end of the price range as the DBPOWER W20. Far more expensive, the Ivation films in super clear HDR quality and automatically adjusts the EV value of the video, meaning you can capture important details from your footage like license plates or roadside markers or facial features of other drivers even in low lighting conditions. The first dash cam on our list to do so, the Ivation also comes with a built-in GPS technology so that you can review exactly where footage was filmed. This is excellent if you want to see when and where your car was driven if other drivers have access to your vehicle. Consider the parent of a new teen driver or the owner of a company car who wants to make sure the company car was where an employee said it was. The Ivation also comes with a handsome 2.7” touchscreen allowing you to view your footage directly on the camera instead of having to upload it to a phone or a computer to do so. It even comes with advanced safety alerts for speed cam detection, lane departure, and forward collision. The parking mode detection feature is also an added bonus, great for parking lots, as it will begin recording anytime the camera detects motion in front of the vehicle. The Street Guardian is the most expensive option on our list of hidden dash cams. Amazingly, it can accept SD cards up to 256 GB and the full HD filming of the 6 glass lens means you get an impressive quality video day or night. The Street Guardian also comes with a number of parts and attachments meaning you have the choice of many different installation options. Choose the one that suits your car best or swap them out from time to time. 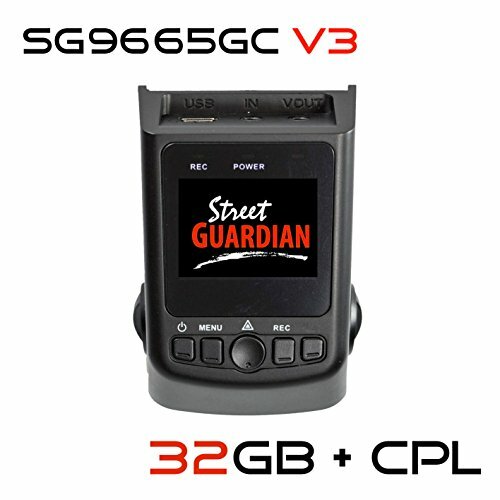 The Street Guardian truly is a set-it-and-forget-it dash cam that comes ready to use with a 32 GB SD card as well as GPS antennae. The GPS technology not only shows where you car has been but how fast it was being driven. It even shows how fast cars coming in the opposite directions were driving. This feature could prove key to proving fault in accidents that involve oncoming drivers going too fast for their own good. Lastly, the Street Guardian will not face any trouble operating in extreme temperatures, so if you live in an unusually hot or cold climate, the Street Guardian may be the hidden dash cam for you. The NuCam hidden dash cam offers a unique design alternative to the other dash cams on our list. Shaped like a cylindrical tube, the NuCam is rotatable 360 degrees meaning that once you place it within your vehicle you can adjust it to your exact liking depending on what’s going on in front of you or even behind you! Users have even used it like a selfie stick or a GoPro to capture events outside their vehicle. The NuCam also comes with WIFI capabilities that enable live viewing of your footage on your smartphone or tablet. This also means you can uploads your videos directly to YouTube or social media without having to take out the SD card and insert it into your computer. The NuCam also boasts wide angle filming in 160 degrees as well as great night vision recording. The Novatek 96655 is a midrange hidden dash cam that can be attached to the back of your rear view mirror. It’s unique design means it will not block the driver’s line of sight as it records continuously, looping over older files first. The Novatek 96655 can accept SD cards from 8 GB to 32 GB, but perhaps its most redeeming feature is that it comes with WIFI capability. By downloading an app onto your smartphone, you can control the dash camera remotely, changing settings with the click of your smartphone or sending videos to your email or uploading them directly to social media sites. Essentially, with the Novatek 96655 your smartphone becomes the viewing screen for the camera, making the device even more invisible. Once you set up this hidden dash camera you never have to tinker with the physical camera again since it begins recording automatically as soon as the car is in motion. The Accfly is another hidden dash camera option with WIFI capability and a wide-angle lens. In this sense it combines the best of the Novatek 99665 and the i-Tentek dash cameras listed above. The Accfly hidden dash cam is truly stealthy. Weighing in at a mere 3 ounces, it is universally compatible with all vehicles and easily concealable within your car. Like the i-Tentek, the Accfly boasts a wide-angle lens, filming a full 170 degrees panorama of the road. The WIFI capability means that you can operate the camera through an application called FinalCam on your iPhone or Android phone. With that said, be forewarned however that some users have found this application to be somewhat hit or miss – sometimes working, sometimes failing. Furthermore, the only way to view the video footage you record is through this FinalCam app or by connecting the phone directly to your computer, so if you are looking to email videos to yourself, you may want to look elsewhere. The Meyoung hidden dash camera is slightly more expensive than the other dash cams on our list but for good reason, as it comes with a number of enhanced features. Like the Auto-Vox, the Meyoung comes with an LCD screen upon which you can watch your videos and adjust camera settings. The Meyoung’s LCD screen however is a full 4” meaning your videos can be viewed easily and without any eyestrain. Furthermore, the Meyoung films with a 6-layer glass lens in full HD (1920Px1080P) meaning you get excellent quality and a crisp, clear picture each and every time. Another great feature is that the Meyoung can even act as a pair of second eyes on the road while you drive. For instance, the Meyoung delivers a safety notification if it senses any deviation in the driving pattern of the vehicle (LDWS) and even alerts the driver if he or she is not within a safe driving distance of the vehicle in front of him or her (FCWS). Of course, these settings can be adjusted or turned off completely if they do not serve the driver’s needs. The other aspect of having a smaller dash cam that can be hidden within the vehicle is that it presents less of an aesthetic eyesore. Bulky dash cameras that take up space within the vehicle are not only a dangerous distraction to the driver, but they don’t look so good either. Having your dash cam hidden behind the rearview mirror means that less interior space is taken up by the camera, so the interior cabin feels less cluttered and the visual aesthetics of the car are not cramped by a bulky recording device. Another benefit of owning a hidden dash cam is that only you, the driver, know that the dash camera is there recording. While larger dash cams may be a kind of deterrent to vandals in and of themselves, if you are wondering who is damaging your car in the company parking lot, or want to see who has been checking out your vehicle in your driveway, the hidden dash cam allows you to gather secret intelligence just like a security camera would. The other benefit is that the hidden dash camera will record the sounds of any kind of interaction that goes on in the cabin of the car. This could include police stops, verbal exchanges with irate drivers, even conversations within the vehicle. If you are trying to prove that the officer who stopped you was lying or abusive, the hidden dash cam has you covered. Furthermore, if you are trying to prove an incident of road rage, the hidden dash cam provides the evidence of another driver’s state of mind that is needed to make your claim. And if you are Uber or Lyft driver, a hidden dash camera can ensure that whatever takes place within your vehicle is recorded, although there may be legal aspects to this that you should look into first. At the very least you will have to alert passengers that they are being recorded and in some instances recording passengers without their permission might be against the law. Most hidden dash cameras are built in innovative styles and shapes that abandon the traditional model of a bulky camera for a more sleek and stealthy look. Most often they can be placed behind the rearview mirror of the car facing outwards so that the majority of the camera is hidden from sight by the presence of the rear view mirror. Most are hardwired directly to the vehicle through the fuse box. This means that the dash camera does not have an internal battery. This is a great benefit to the consumer because it means the dash cam will turn on automatically when the car starts and will never fail due to extreme temperatures or battery malfunction. The wires involved in this direct connection often follow along the windshield and can be looped out of sight and out of mind. The whole purpose of the hidden dash camera is to make the camera presence as little as possible, keeping in tact the concentration of the driver and the aesthetics of the car’s interior. For this reason, often times the dash cams are triangular or trapezoidal in shape and are attached by clipping the device to the back of your rearview mirror. In a sense, a hidden dash cam is meant to look like just another part of your vehicle. One of the principal benefits of a hidden dash camera is the fact that it can be attached in this way, unlike traditional dash cameras which are placed onto the windshield with suction cups that can lose their strength over time due to extreme temperatures. Consider the pros and cons. If you’re currently in the market for a dash cam, you’d do well to consider buying one that can be hidden easily within your vehicle. Not only do hidden dash cams capture the road in front of you as clearly as traditional dash cams do, but they don’t prove to be quite as distracting for you, the driver or your passengers. Acting as a second pair of eyes on your vehicle, a hidden dash cam will bring you the peace of mind you are looking for while never interrupting the aesthetics of the car interior. Forget the stray wires and the bulky plastic on your dashboard. Instead, these sleek, stealthy devices do the job and then some. All the hidden dash cameras on our list turn on automatically as soon as the car is started so they remain out of sight and out of mind. Of course, each of the cameras on our list of the best hidden dash cams have their own individual benefits and drawbacks. Some are more expensive than others, some have more advanced features and capabilities, some attach via suctions cup, others by a direct physical connection with the rear view mirror. 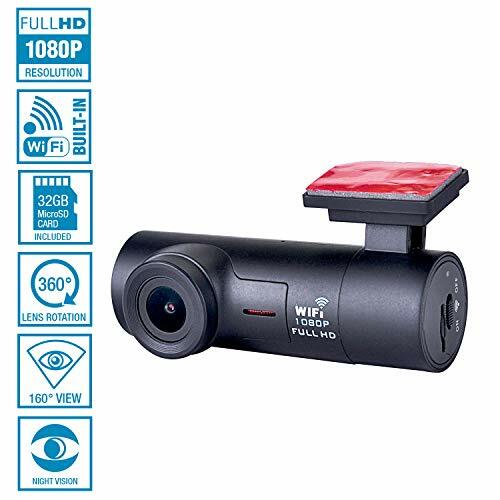 Depending on what you are looking for, the list we’ve compiled will be sure to give you a healthy number of options within a variety of price ranges so that you as the buyer can locate the hidden dash cam that fits your unique needs best.